What Types of Jobs are Available with an Accounting MBA? There is a long list of jobs available with an Accounting MBA. If your plan is to pursue a Master of Business Administration with a concentration in accounting, it is important to have a plan as to what type of title you want to hold once you graduate from business school. In both the public and the private sectors, there is a long list of different types of accounting jobs. You will need to decide which sector you would like to work in, what you would like to do on a daily basis, and which MBA courses will help you get where you would like to go. Here is your guide to the career possibilities when you possess an Accounting MBA. What Are the Career Possibilities with a Master of Business Administration? MBA degree programs are advanced graduate programs that teach students how to develop business skills. If you take a program that emphasizes on the field of accounting, you will be able to more effectively analyze data, develop financial accounting solutions, audit, and prepare and file taxes. Because of all of the skills you will develop, you will be ready for many different career possibilities that are available in government agencies, with public associations, or with private firms and corporations. It is not possible to list every single title that you can pursue once you have your Accounting MBA, but typically employers will hire MBA graduates for management level positions after they have taken a management focused program. With your MBA, you will be eligible to pursue positions as a finance officer, investment banker, budget analyst, financial planner, analyst in finance, accounts receivable manager, internal auditor, consultant, tax accountant, accounting manager, or even an executive role in accounting as a controller or comptroller after you gain professional experience, according to Business Majors. How Does the MBA Program Compare to Other Accounting Degrees? When you attend an undergraduate program, you must decide what exactly you want to do before you choose a major. If you major in business, accounting, or finance, the next step will be to either enter the field, pursue a master’s, or earn an MBA. Getting professional experience is a must when you want to earn your Certified Public Accountant credential, but some states require you to have more than just a bachelor’s degree. If your goal is to be credentialed to gain legitimacy in the field, an MBA will give you credibility and help you meet credit requirements. The only degree that ranks higher in the field is a Ph.D in Accounting, which is necessary if you want to pursue a very technical title. For those who desire being leaders and managers, an MBA is ideal. 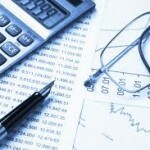 If you would like to work as a accounting professional at a management level, earning your MBA will give you leverage. In a field that is expected to grow by 9% by the year 2022, having a leg up on other graduates with lower level degrees is essential, according to the Bureau of Labor Statistics. When you enroll in an accredited MBA program that focuses on accounting content, you will get that leg up. Be sure to research each school and admissions requirements before applying. By doing this, you can find the best institution to earn a degree that will give you the qualifications you need for jobs available with an accounting MBA.